I’m a sucker for good looks and this bottle is lovely and covered with swirly gold bits and a cute two-toned pink lid. The gin itself is a pale, Insta-worthy pink and this bottle would look great nestled in a drinks cabinet or displayed on a shelf. Larios Rosé Premium Gin is produced in Madrid, Spain and retails for £20.75 on The Drink Shop. It’s 37.5% alcohol volume, which is reasonably standard for gin. The watered down pink of the Larios Rose. If only it watered down the taste. Oh God, where do I start? The initial smell is ALCOHOL followed by synthetic strawberries, almost medicinal, like a cough syrup. After pouring a few, you will notice that the bottle is difficult to open due to build up around the lid, I can only presume this is due to sweeteners that have been added to the gin. So far, not a great start. 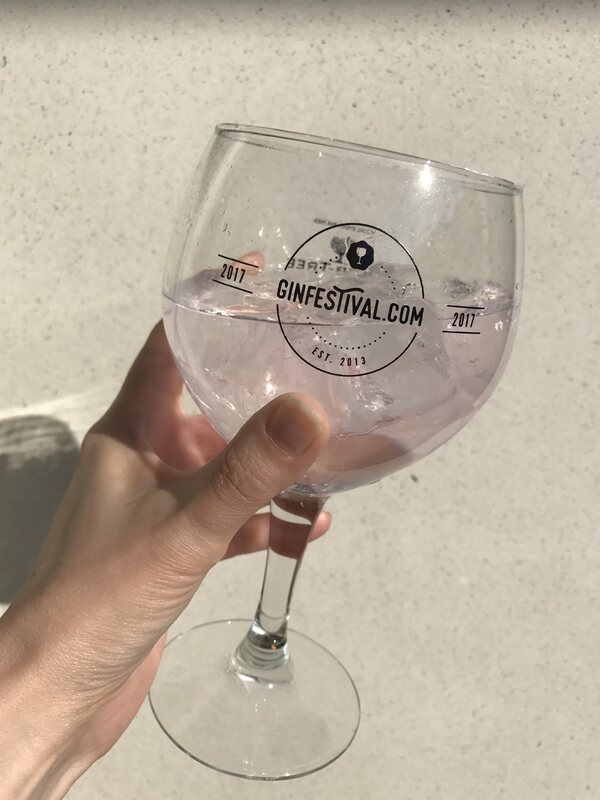 I pour all my gins as doubles, because life is too short for single gins and my standard tonic water is Fevertree Light. The first sip induces a bit of a shudder, unfortunately. It kind of burns a bit as it goes down? I genuinely don’t know why this is, or if I’m getting picky in my old age, but the synthetic strawberry and harsh alcohol flavour bury any of the other botanicals that might be used to make this gin. So beyond telling you that it tastes like strawberry flavoured paint-stripper, I don’t know what else I can tell you. I’m sure you’re getting the impression that I don’t like this gin and you would be correct. It does have a saving grace though, so that you haven’t wasted £20 on a bottle of fancy bathroom bleach; cocktails! Larios is a great cocktail gin, so go and whizz it up with berries, top it up with Prosecco and have a whale of a time. Basically, just add anything that drowns out its overwhelming flavour. I wouldn’t buy it if I were you. I know there are people out there who are massive fans of this gin, but Larios is just not for me. It’s a Spanish gin, but it doesn’t drink like one, it’s a strawberry gin, but it doesn’t taste like one, it’s 37.5% but drinks like rubbing alcohol. Avoid. Want to see me cringe as I drink it? Have a look at this!